When we say we’re running in the red—it’s not exactly what we mean…. What we want you to notice is that we erased last year’s red “mercury”. So—where did that money go? Happy Summer! Isn’t it great to know you don’t have to invent reasons why your kid hasn’t turned in homework? See you on October 15th. John Swett Educational Foundation meetings occur the third Monday each month. Pasquale 'Pat' Contestable passed away on February 11, 2018. He touched many lives with his gentle spirit and positive outlook on life. Pat was born in Crockett, CA and graduated from John Swett High School and earned a degree in Mathematics from the University of California, Berkeley and a master in Education from California State University San Francisco. After serving in the U.S. Army, Pat dedicated his career to John Swett Unified School District holding a variety of positions including teacher, counselor, principal, business manager and superintendent of schools. Upon retirement, Pat enjoyed traveling, golf, the Lions Club and spending time with his children and grandchildren. Pat is survived by his loving wife, Julia, devoted children Mary Wooster (Kevin), Julie Bates (Jeff) and Peter Contestable and grandchildren Madeline Wooster and Jeremy Bates. His generous, easy going spirit will be missed by all that knew him. Friends and family are invited to a funeral service at St. Rose of Lima Catholic Church, 555 Third Avenue in Crockett. Friday, Mar. 2, 2018, 10:00 AM. Pat has requested that donations should be made to the John Swett Education Foundation. We are deeply moved by his thoughtfulness and years of support and service. Enjoy a fabulous Mexican dinner, bid on silent auction items, and delight in an evening of family fun – all while raising money for our schools! Each month, Board member Billie Davis shares the latest news with readers of the Crockett Signal newspaper and our web site. Keep up on our newest accomplishments and upcoming events. For the fourth straight year the Education Foundation hosts the scenic 5K Fun Run on Sunday, May 21st, 2017. 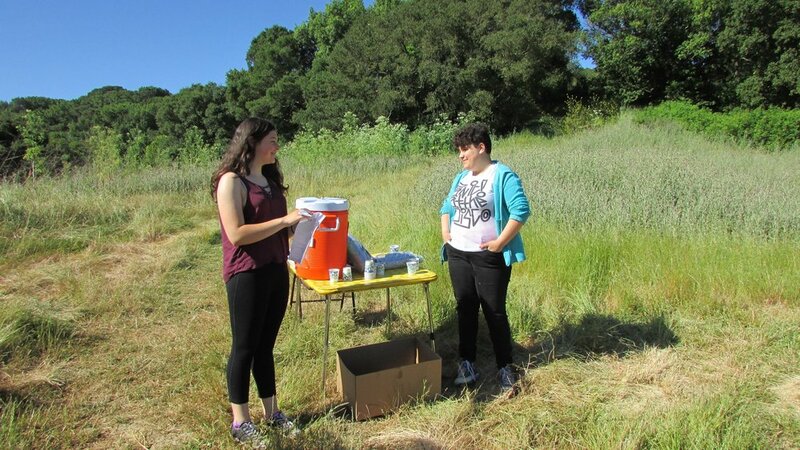 The route, known as “Woodrat Trail,” starts behind the Carquinez Middle school, runs past Willow Continuation School, then loops through the beautiful Crockett Hills Regional Park, and ends by circling the John Swett High School football field. Besides the breathtaking vista, a fun highlight for all participants will be to watch themselves crossing the finish line on the score-board Jumbotron. We would like to acknowledge our supportive neighbors at Phillips 66, Crockett Community Foundation and C&H Sugar who make our events possible. A special thank you goes out to Yogurtland of Pinole and Road ID for the swag in the bag! All proceeds will go directly to help John Swett Unified School District students, so your registration supports a truly worthy cause. Our prom is right ‘round the corner! Last minute attention to all the special details of your excursion back to the ‘80’s are being made. On November 19th at 6:00 you will be swept away through the Community Center threshold to imagine yourself a teenager again. Even with the all the questionable fashion choices — like wild neon colors, big hair, parachute pants and legwarmers — you can’t help but feel nostalgic. We felt like, totally, you know, totally rad. Remember when Michael Jackson, Van Halen, and Madonna ruled the airwaves? It was a vibrant fun time. Even though the 80’s brought a highlight of sushi to our dinner tables, JSEF chose to keep our menu current--and repeat the sophisticated menu from last year: an exquisite tri-tip dinner, a delicious desert bar, and a no host bar offering a few delightful excursions through memory lane—as well as our up-to-date highball favorites. But back to our monthly meeting… One of the important items on our monthly agenda was a special visit from our superintendent, Rob Stockberger. He is genuinely excited about the future of our kids. He was able to present the latest information about the bottom-line numbers that prove our community is making a difference in the lives of our students. New administrators and personnel are providing the guidance and motivation our students need. Mr. Stockberger has access to tremendous resources to keep our students on the cutting edge of a successful educational experience. The efforts being made to support students’ focus on colleges and tech schools will help all the kids from kindergarten through their senior year in high school. Mr. Stockberger’s optimism is infectious. We also had a healthy discussion about the ballot propositions P and Q. The information and insight, details and particulars about these propositions gave all of us JSEF directors a better understanding of what these propositions present. After Mr. Stockberger left we continued to examine the facts. With our quorum present, and the two absentees voting by e-mail, we decided that the JSEF will endorse both propositions P and Q. These both offer the best backing for Carquinez Middle School as well as John Swett High School. Business as usual came next: deciding how to send money into the schools. Ms. Shotwell continues to improve the library at Carquinez Middle School. She’s making the library an irresistibly attractive place for the students; they love to go there! It was an easy decision to support her through her request through Donor’s Choose. She is making a remarkable difference in the impact that school has on the lives of teenagers. Additionally at CMS, Ms. Giannotti is conducting interactive courses helping students understand that if we don’t learn about history, we’re doomed to repeat it. But not all students can learn history from books. She is able to reach out to the students who learn through building 3-d images. Also Ms. Giannotti offers a better understanding of basic life models through a class called Futures. We were impressed, and were able to support her alternative approach to teaching students. November 19th. Be sure to save the date. We are very steadfast to our mission statement: Dedicated to expanding, enhancing, and restoring academic and extracurricular programs within the John Swett Unified School District in collaboration with parents, educators, and the community. It gives the direction and wherewithal to support our schools in every way possible. Please visit our website for updates on all our activities at www.johnswettef.org. JSEF supports all schools with every donation. As usual, every interested person is invited to any of our meetings (third Monday of each month, School District Office, 6:30). It’s the best way to stay abreast of activity in all our schools. The next meeting will be October 17th. Come join us, we’d it if you’d join in our discussions. The Sugartown Festival was the finest example of what a small town can do to show off how great it is to live here! It was an upbeat, sunny, breezy day—couldn’t have been better! There were smiles everywhere as people from all around the bay area poked their noses into all the different stalls that lined Rolph Avenue. So the JSEF wants to send out an enthusiastic “Thank You!” to everyone who stopped by our lemonade stand to quench their thirst, and help our school district. The months we spend preparing for this annual event always present a puzzle because it’s hard to predict what will be different year-to-year. It keeps us on our toes, and we’ve always been relieved to see the numbers increase each time. But this year we were totally blown away by how successful our efforts proved to be. So thank you one and all! We are continuing to discuss details for November’s fundraising prom: Back to the 80’s. Do you remember singing along with Blondie, “Call Me!” -- or maybe Pink Floyd “Another Brick in the Wall”. Did you wear a “Jean’s jacket”? They were so hip! Sports? The Raiders and 49ers had their Super Bowl successes. Although Tab, Canned Spam, and Bubble tape made their debut in the ‘80’s – we have decided to stick with the proven success of last year’s catered menu (a more detailed account in next month’s issue). The community center will undergo a transformation (with the help of lots of pink, purple, and aqua props) so we can reminisce about the birth of “Pac Man” ---- was it that long ago??? Please visit our website for updates on all our activities. www.johnswettef.org. JSEF supports all schools with every donation. As usual, every interested person is invited to any of our meetings (third Monday of each month, School District Office, 6:30). The next meeting will be August 15th. Come join us, we’d love to hear what you have to say. The most exciting news this month is the proclamation of this year’s Scholarship winners. We are honored to publicize the names of two outstanding seniors: Stephen Butler and Darin Johnson. They wrote excellent essays, and will receive well-deserved scholarships from JSEF. In addition we were able to make good on our promise of matching funds for the successful Book Fair; Jessica Shotwell continues to do an exemplary job of improving the library at Carquinez Middle School. Also, we were able to write two checks to the PTA for their independent fundraisers. Our mail included a heartfelt “Thank you!” from Ms. Hayden for our continued support for the AP testing program which is so important for our college-bound Juniors and Seniors. We are very steadfast to our mission statement: Dedicated to expanding, enhancing, and restoring academic and extracurricular programs within the John Swett Unified School District in collaboration with parents, educators, and the community. It gives the direction and wherewithal to support our schools in every way possible. Money that comes in from the prom, 5k fun run, our upcoming Sugar Town Festival, and the annual giving program are focused directly on the needs of our four schools. Our proud thermometers enable you to see that you helped exceed our goals for the 2015-2016 school year: red mercury popping out the top! So… Guess what! We are in a flurry planning for the next fundraiser. It’ll be this month’s Sugar Town Festival. Just like in years gone by, we’ll be delighted to offer you the most thirst-quenching lemonade ever! With our award-winning secret recipe, you’ll be able to add your choice of complimentary taste sensations, and you’ll be supporting our school district as you toast everyone’s good health! Next on our business schedule was to discuss details for November’s fundraising prom. We’re planning a trip down memory lane: the 80’s! Your home work is to start looking through your high school yearbooks. Weren’t those hairstyles fabulous?!?! The clothes, the cars, the music. Oh, there are so many secrets we can’t tell! But those secrets will make your smiles more intriguing next November 19th. Be sure to save the date. Please visit our website for updates on all our activities. www.johnswettef.org JSEF supports all schools with every penny that comes our way. Everyone is invited to any of our meetings (third Monday of each month, School District Office, 6:30). The next meeting will be July 18th. Come join us, we’d appreciate your input. Sunday, May 22nd couldn’t have dawned better. Saturday’s clouds had sprinkled the Wood Rat trail, so the dust had settled down; the remnants of those clouds provided a beautifully cool 9:00 start time. Our Sweat for Swett Race for Technology was destined to be the best we’ve had. New records were set and broken. The fastest time was faster! The slowest time was slower! The youngest contestant was younger--crossing the finish line in a belly pack strapped to his father’s chest (and thereby beating his daddy’s finish time by a fraction of a second)! The oldest entrant was older! And, most importantly, the total number of participants was higher! Participants’ bib numbers and official “race” times are available on our website: www.johnswettef.org. An abundance of “Thank Yous” go to our sponsors. Phillips 66 provided the t-shirts which Bay Area Screen Prints printed. Yogurtland gave bananas and gift cards. Safeways donated water. Road ID provided bib numbers and gift certificates. Axis Group donated Smart™ Cloths, yo-yo’s, and “clean cheeks”. Last, but certainly not least, Crockett Community Foundation provided matching funds. Thank you, thank you, and thank you! By the end of the school year our thermometers will report the combination of this fundraising effort in addition to the input from our Annual Giving Campaign. Red mercury squirting beyond the top of our goals! You’ve done a great jog helping our schools. Be sure to visit our website for updates on all our activities. www.johnswettef.org JSEF supports all schools with every penny that comes our way. You are invited to any of our meetings (third Monday of each month, School District Office, 6:30). Last November’s JSEF gala fundraising prom offered the opportunity to bid for a “Whiskey Tasting” party (hosted by Tracy Weber). Last month several well-dressed and well-behaved participants were welcomed into Tracy’s home to see a table spread with a spectrum of fine whiskeys from the sublime to the ridiculous. Did you know that India, as well as Japan have their own versions of distilled grains? And until you have the opportunity to sip one of them, you have a delightful addition to your “bucket list.” Additionally Tracy (who had been a sous chef in Europe) offered an elaborate array of delicious finger foods to accompany each beverage. Some of the whiskeys were easy, comfortable and mellow. Others were enjoyed by heartier souls who were presented with a boggy, peat-y (and to my naive palette—a bit too musty) drink. But on the more positive side of things—I didn’t have to spend a sizeable amount of money to shop all over the bay area to find those pricey bottles that are enjoyed by folks who appreciate the offerings from the fair isles of the north eastern Atlantic. Although I didn’t keep track, I’d be surprised if any of Tracy’s guests managed to take a nip from each and every bottle. So there will be a chance next year to taste the ones missed this year. The whiskey tasting is always a delightful evening with plenty of opportunities to chat with familiar friends and make new ones. Next November be sure to bid on the whiskey tasting at our “Get Lucky” Prom / silent auction; it will be the Tenth Anniversary of this event! The other brief discussion at our meeting was an update on Challenge Day at Carquinez Middle School. JSEF will be proud to continue to support this worthy program because we keep getting feedback from the adult volunteers, many of whom aren’t from our immediate community and have had no previous contact with our school district; the consensus is that our students are a cut above those from other schools in the bay area. And we intend to keep it that way! Our Superintendent, Rob Stockburger, made a presentation to let us know that providing Chromebooks for our students, continues to be a high priority for our school district. The JSEF directors all agreed and voted to write a sizeable check at this moment in support of this program. As soon as the Fun Run (A Race for Technology!) is over, we’ll donate those profits too. Once again, Jessica Shotwell, presented us with an opportunity to support the needs of the Middle School library. We‘ll be happy to match the funds raised by their Scholastic Book Fair (the week of May 23rd). So, if you want to double your efforts to help make the Carquinez library even better, be sure to look at the offerings during their Scholastic Book Fair, and choose a few volumes to enlarge your own personal library. We’re ironing out the final details for our third annual 5k fun run Sweat for Swett A Race for Technology! On May 22nd. It’ll be a wonderful chance to experience the beauty of our Crockett foothills. If you—or anyone you know—haven’t had the opportunity to jog through the hillsides that protects our enchanting little town, this is the best way to do it. It’s easy to park in the school’s lot. You’ll see our tents set up there to give you a numbered runner’s bib. The starting gun goes off at 9 AM and the course begins behind the Carquinez Middle school, goes up past Willow School and into the Regional Park. The well-marked Wood Rat Trail parallels Crockett Boulevard up to the Cummings Skyway. It’s breath-taking there (in more ways than one). You’ll be given some water and a well-deserved sticker proclaiming you made it to the top. From that point it’s easy to coast back down past the starting point, and through the tunnel that leads you to the High School athletic field. Your grand finish will be shown on the gigantic sports screen! Yeah! A beautiful T-shirt, ribbon, snacks, drinks, and a goodie bag full of surprises will be your award for doing a job you can be proud of! On April 23rd be sure to look for us at the PTA Fiesta dinner (Scout Hall) You’ll be able to find JSEF helping all our schools by offering a bar full of wonderful opportunities to wet your whistle, (and there will be more information about our fun run there as well). JSEF supports all schools with every penny that comes our way. You are invited to any of our meetings (third Monday of each month, School District Office, 6:30). 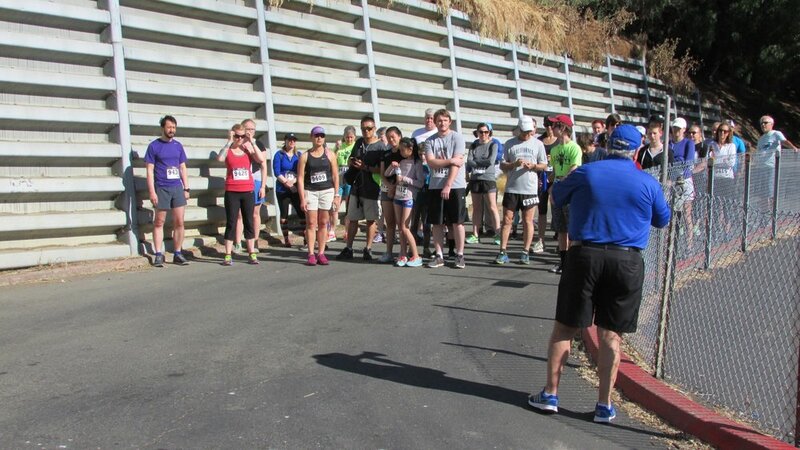 3rd Annual JSEF 5K Fun Run: For the third straight year the Education Foundation hosted the scenic 5K Fun Run. This year's run took place on May 22nd, 2016. The route, known as "Wood Rat Trail," starts behind the Carquinez Middle school, runs past Willow Continuation School, then loops through the beautiful Crockett Hills Regional Park, and ends by circling the John Swett High School football field. A fun highlight for all participants was to watch themselves crossing the finish line on the score-board Jumbotron. We called this year "The Race for Technology" because we raised money to buy Chromebooks for Carquinez Middle School, which currently has a real shortage of modern computers. All proceeds were used directly to help John Swett Unified School District students, so your registration supported a truly worthy cause. The race results are in and listed below! The top five runners received RoadID gift cards. Many more photos of the event can also be viewed on the JSEF Facebook page. The biggest, most anticipated fundraising event of last year, our 9th Annual Gala was held Saturday night, November 14, 2015 at the Crockett Community Center. Thanks to all who attended and thereby contributed to John Swett USD schools. Our theme was the Carnival of Venice (Carnevale di Venezia), an Italian tradition since the 11th century with costumes, masks, and intrigue. As always, we had a wonderful dinner, drinks, dancing, and a silent auction. Please join us again next year! Once again the Education Foundation hosted the beautiful 5K Fun Run to be held on May 31st, 2015. The route starting behind the Carquinez Middle school, ran past Willow Continuation School, then looped through the beautiful Crockett Hills Regional Park, and ending by circling the John Swett High School football field. A fun highlight for all participants was to watch themselves crossing the finish line on the scoreboard Jumbotron. Thanks to all who ran or walked to help JSEF! We Rocked Around the Clock at Prom! On Saturday, November 15, 2014 from 7 p.m. to 11 p.m. we celebrated JSEF’s 8th Annual Prom — Rock Around the Clock. The year’s theme transported everyone back to the days of Grease and its iconic characters. Guests chose to be a rebel in the leather jacket, one of the Pink Ladies, or those who preferred poodle skirts and letter sweaters. We enjoyed comparing costumes of those who came as Sandy, Cha-Cha, Danny, or Kenickie. It was delightful. The historic Crockett Community Center was transformed into a 1950’s sock hop — the perfect backdrop for a night of great food and dancing from that era. It was another very successful fundraiser and all proceeds (through tickets sales, raffles baskets, and the silent auction) went to enhancing educational programs within the John Swett Unified School District! Thank you to all who have supported JSEF through our ongoing Annual Giving campaign! The Annual Giving Campaign is a fundraiser that helps preserve and enhance programs in our schools. Some families have chosen a single donation at the beginning of the school year, others have taken advantage of our easy monthly installment plan. Last year was our biggest year in terms of dollars raised since the inception of JSEF in 2006. Your support was overwhelming, and resulted in a successful year of investment in our district’s programs, materials and educational opportunities. With your help, we were able to have a huge impact on education and programs in all four of our district schools. There are always many requests from our teachers and school programs. Thank you for being as generous as you have been. As a resident of Crockett, Rodeo, Port Costa, or Hercules, you belong to a larger community that prides itself on a strong public school system. To maintain quality education our schools have come to depend on grants from the John Swett Education. Our students are growing and developing and they need all the support we can give. Your attention has helped the John Swett Unified School District to be a premier district that continues to offer enrichment programs and a full curriculum for our children. Your contribution, whether large or small, has had a direct impact--supporting our students and their education. The John Swett Education Foundation (JSEF) is a non-profit 501(c)(3) foundation; your contribution is fully tax deductible. Please join us in giving whatever you can and make a difference. Each dollar counts! Your help is always greatly appreciated. For other answers to common questions about JSEF and donating, please read our FAQ. To donate by check: Donations with a donation form (click to download) can be mailed to: John Swett Education Foundation P.O. Box 455 Crockett, CA 94525 Please make checks payable to JSEF. Thanks to everyone who attended our biggest fundraiser of the year. JSEF's 7th Annual Prom was held on Saturday Nov. 16, 2013 at the Crockett Community Center. This was one of the best parties of the year and we had a huge turnout. The theme was the spectacular roaring 20’s: The Great Gatsby! Our decorating committee transformed the room into a magical space for dancing and fun. Music and dancing, dinner, a full liquor no host bar, a raffle, and prom photos were available. Please watch this site for upcoming details about the 2014 prom, coming this fall to a community center near you. Tickets will again be available online (pre-order for a discount), in town at the J&L Market, and at the door. We look forward to seeing you there! We had a swell time at the recent Rodeo Chili Cook off and Classic Car Show. We sold juices, waters and sodas to thirsty patrons and enjoyed the excellent weather and camaraderie. JSHS Teacher Dean Colombo arranged for 6 seniors to help JSEF with the event. I want to thank Dean for sending such helpful, resourceful, attentive individuals. They even went all over the event and sold Prom raffle tickets as well as hauling beverages all over for mobile sales. Thanking them by name, they were: Hannah Clark with her dog Jack, Kelsey Connel, Markell Hogg, Samantha Lenzi, Molly McCain and Tony Singh. Thanks kids...you did a great job and we’re very grateful. Some reminders: please visit donorschoose.org. It’s there where you’ll find our local teachers listing classroom needs. We at JSEF monitor the site and donate to each and every request. At present there are some listings and any dollar amount is welcome. Typically, we seed the request with a healthy dollar amount, community members send in donations and very often, larger deep pocketed foundations pick up the balance when they see enough community interest. Our teachers then get the tools they need to give our kids the quality education they deserve. Have you seen our recent API scores (Academic Performance Index)? JSHS and Carquinez both are going through the roof and we’re higher than most schools around us. Many thanks to our Superintendent, teachers and administrators for their diligence in giving our kids a quality education. Parents, community and businesses have a role here as well as your donations and work make a huge impact on providing the needs of our schools that the state could otherwise not provide. Thanks to everyone who has given to John Swett Education Foundation and if you’re due for a donation of any amount, send your tax deductible amount to JSEF, P.O. Box 455, Crockett, CA 94525. To make it even easier, you can make your donation securely online at this site. For questions or to brainstorm call Beverly Hill at 510-541-5778. Tickets to the Get Lucky Prom on Saturday November 10, 2012 are available right now online! This year's theme is "Get Away to Monterey." Dinner, drinks, dancing, a silent auction, a raffle, and a light show will be just some of the highlights. Some lucky people will also win an all expenses paid trip to Monterey or the latest iPad. Raffle tickets are on sale and you need not be present to win; tickets are $5 each or a book of five for $20 (Hint: we’ve not printed that many so odds are pretty good). To get your raffle tickets, call Beverly Hill at 510-541-5778 or you can buy them at the Prom. We’re just as busy as we can be collecting awesome goods, services and experiences for the Prom’s Silent Auction and what a great time to shop for the Holidays. Among the offerings are Disneyland tickets, Museum passes, movie passes, restaurant certificates, several art pieces and a whole lot more. You need to be present to take advantage of the auction (but who wouldn’t want to be at the event of the year?). The Prom dinner buffet consists of: shrimp cocktails, caesar salad, garlic bread, chicken cacciatore, veggie lasagne and assorted desserts. Getting hungry? Come to the Prom. You can buy tickets by clicking below or call 510-541-5778. We’re dusting off our dancing shoes and primping for our Prom photos. In keeping with the Monterey trip raffle, our signature drinks include Grapes of Wrath (a wine cooler), Monterey Sunset (a twist on tequila sunrise), Old Man and the Sea and well, you get the idea. Ed Tannenbaum will be conducting an extraordinary interactive laser show for your entertainment pleasure and DJ Nic Capule will be spinning tunes. So we’ll see you at the Prom, Saturday November 10th at the Crockett Community Center. Doors open at 7 p.m. Click below to buy your prom tickets online to make sure you reserve your place! The Annual Giving Campaign is a once a year fundraiser that helps to preserve and enhance programs in our schools during a time when budget cuts threaten our children's educations. As a resident of Crockett, Rodeo, Port Costa, or Hercules, you belong to a larger community that prides itself on a strong public school system. To maintain the quality education our community has historically offered, our schools depend on grants from the John Swett Education Foundation to support numerous initiatives -- computers and technology in the classroom, new textbooks, support for the band, additional training for teachers, and more -- that help to fill the gaps left by limited state funding. We cannot wait for the state of California to restore funding for quality education. Our children are growing and developing and they will not wait. We need your help if the John Swett Unified School District is to remain a premier district that continues to offer a full curriculum and enrichment programs for our children. Your contribution, whether large or small, directly assists our students and their education. The John Swett Education Foundation (JSEF) is a non-profit 501(c)(3) foundation, meaning your contribution is fully tax deductible. Please join us in giving whatever you can and make a difference. Each dollar counts! All funds will be used to support student success in the 2012-13 school year. Your help is greatly appreciated. For answers to common questions about JSEF and donating, please click here. John Swett Unified School District (JSUSD) is a small school district located in northwestern Contra Costa County in California, serving the communities of Crockett, Rodeo, Port Costa, and the City of Hercules. JSUSD was rated the fifth most diverse school district in the entire country according to a recent New York Times article “Diversity in the Classroom,” which examines the impact of recent immigration on primary education. Their Diversity Index measures the percent chance that two students selected at random would be members of a different ethnic group. Higher numbers indicate a more diverse student body. JSUSD received a score of 75% on this index, easily ranking first in Contra Costa County. Overall, the district’s 1,708 students in 2009 were: 23.5% White; 21.0% African American; 19.1% Hispanic; 16.9% Multiple Races; 9.4% Asian; 8.8% Filipino; 0.8% Pacific Islander; and 0.7% American Indian (California Department of Education). Linguistically, about 20% of District students are “English Learners,” with native languages such as Spanish, Punjabi, Pilipino or Tagalog, Vietnamese, Pashto, and more. Such great diversity simultaneously creates multiple challenges and new opportunities in educating students. It isn't every day that you get a chance to meet one of the world's biggest rock stars and the opportunity to bid on his guitar, but that's just what happened recently to the crowd at a special joint fundraiser for the John Swett High School Band Boosters and PAINTS (Promote Art in the Schools). If you haven't already figured out the name of the singer and his band from the photo and its background color, well, you probably need to listen to more good new music. Anyway, as many of you know our friend Billie Joe Armstrong and his Green Day band mate Mike Dirnt grew up in our area and once attended John Swett schools. The guitar auction was the high point of PAINTS' Bird House Gala and Auction on May 25th, held in nearby Piedmont. After Billie mingled with the crowd the auction bidding began and the hammer didn't come down until $9,350, a very nice price for an autographed guitar. This amount was then split between the JS Band Boosters and PAINTS, leaving the Boosters with $4,675. However, Mr. Armstrong was kind enough to match this amount for John Swett, leaving the Boosters with the guitar's full sale price to spend on their myriad of needs (new electric and acoustic intruments, repairs to existing instruments, uniforms, etc.). JSEF's role in all this was simply acting as the fiscal agent on behalf of the smaller Boosters organization, but we thought the news was good enough to share. Band Boosters helps to support and maintain the venerable band program at John Swett High School, which has been around since 1928. If you'd like to learn more about the group and the music program itself, be sure to visit their website at http://www.johnswettbandboosters.org. If you're a Green Day fan and would like to make a donation of any size to support Billie's hometown school district or the band program at John Swett High School, please help us out by donating today. We're a tax deductible 501(c)(3) organization that supports John Swett Unified District schools and we definitely would appreciate anything you could give. Who knows, your support may help us produce the next musical prodigy from the area. We'd like to thank Billie Joe Armstrong for his generosity and giving back to the community. We look forward to Green Day's three (!) new albums being released in the coming months, beginning on September 25th. Feel free to come back and play the Crockett/Rodeo area anytime! Please allow at least 48 hours for urgent updates. 2 weeks for all other requests. Be explicit. All content must be provided. Include links to images via Dropbox/Google Drive/Etc.